Look for videos and training ideas… coming soon! 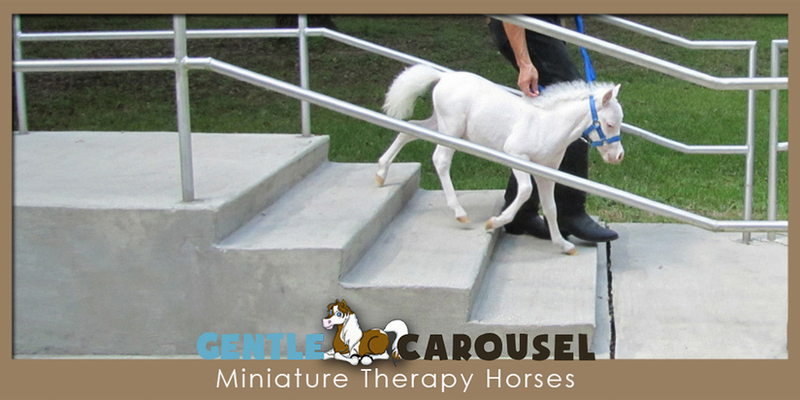 Gentle Carousel Miniature Therapy Horses go through at least a two year basic therapy training program. They continue to gain experience and learn new skills for years, but the basic training includes indoor hospital practice and safely interacting with adults and children in a variety of challenging circumstances and locations. It is a rare horse who is both safe and happy working indoors and there are no short cuts when it comes to developing confidence and trust between a horse and handler. 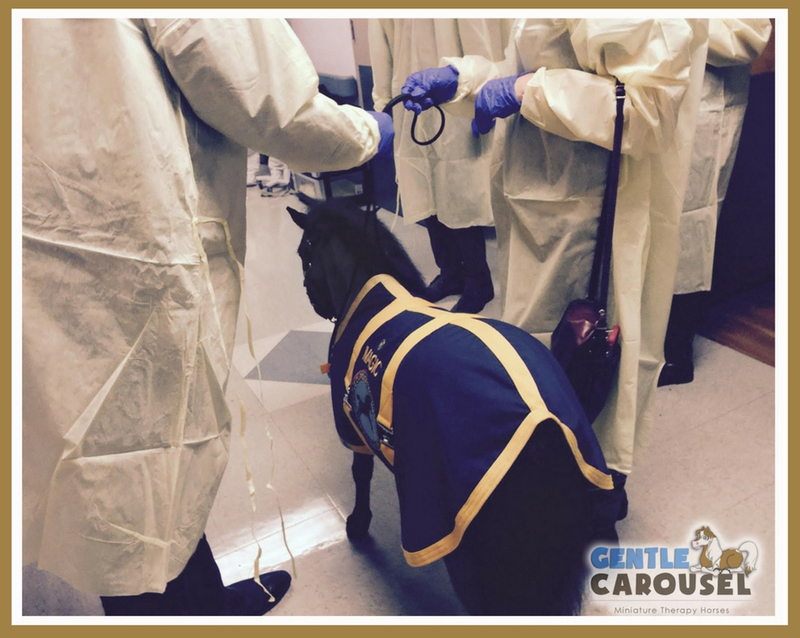 In basic training the horses learn to walk up and down steps, ride in elevators, walk on unusual floor surfaces, carefully move around hospital equipment and work in small patient rooms. They need to calmly handle unexpected sounds like ambulances, alarms and hospital helicopters… and yes, they must be house trained. 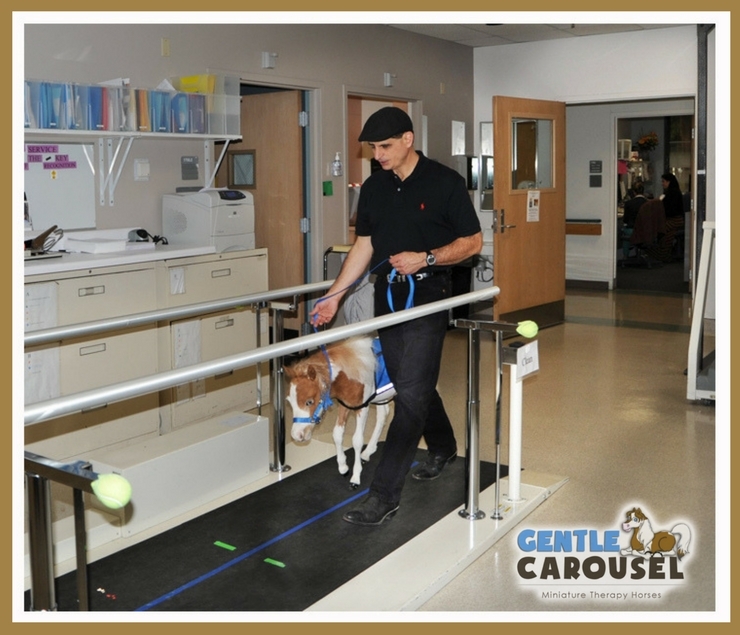 The horses work with medical professionals in oncology units, intensive care units and with occupational, speech and physical therapists. As part of treatment teams, the horses support patients who have suffered strokes, traumatic brain and spinal cord injuries, amputations and burns. 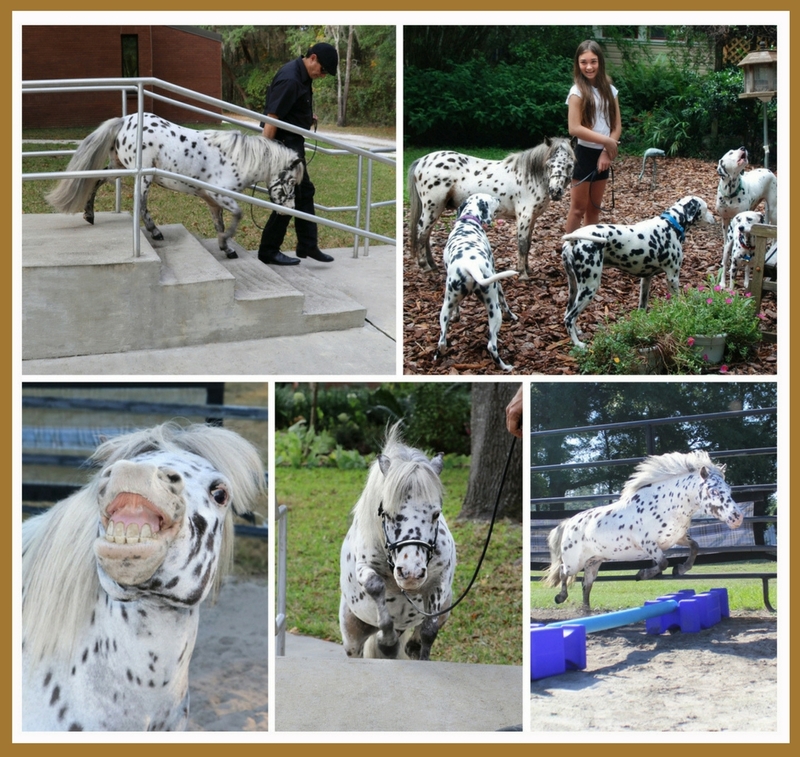 Therapy horse Circus and all of the therapy horses are always learning new skills, gaining experience and practicing basic skills.